With the software CepSMS, you can send SMS via your mobile phone or modem masses. Phone number list is taken from Excel table. 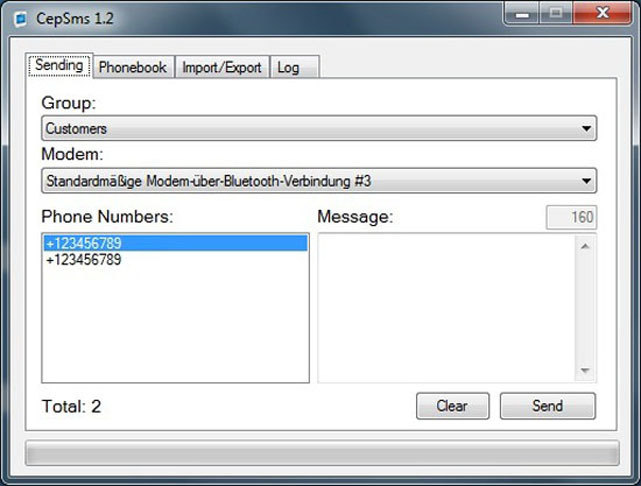 Mass SMS sending from your computer via USB or Bluetooth. With CepSMS you send SMS directly from the PC. Simply by Bluetooth or USB cable. CepSMS is a Windows program that is installed on the user's PC and allows sending of SMS on the mobile phone. CepSMS provides a direct connection to the mobile phone via Bluetooth or USB cable.